Welcome, and thank you for visiting our homepage! Marr Agency first opened its doors in 1964, and has been servicing sale and rental customers since then. In the years that the Marr Agency has been open in Ocean City, NJ, the customer has always remained the focus of all of our efforts. We invite you to engage our services whether you are looking to buy, sell, or rent, as we are sure we can help in any of your real estate needs. If you are looking for a rental in Americas Greatest Family Resort, the Marr Real Estate Agency is the place to look. Here you will find experienced agents, a vast inventory, and a guarantee that we will do everything we can to make sure you have a wonderful vacation in Ocean City, New Jersey. Our local knowledge of the island and Ocean City’s amenities will allow us to match your needs perfectly to a home and location that will suit you and your family. 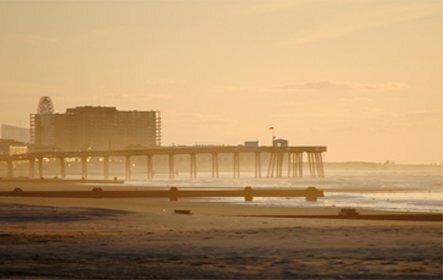 If a more permanent location is your preference, the Marr Real Estate Agency is able to both list and sell properties in Ocean City, NJ and its surrounding mainland areas. If you are already a homeowner in Ocean City, the Marr Real Estate Agency would be happy to help sell your property. If you are looking for an investment property, second, or primary home in Ocean City, NJ one of our experienced agents would certainly be able to help you. Please enjoy navigating our website to learn more about all of the services and experience the Marr Real Estate Agency has to offer. Looking to inquire about a rental or sale property? Want to get a hold of one of our experienced agents? Please use the form below and we will follow up with you! Marr Agency offers both Sales and Rentals at the beach in Ocean City, NJ also known as OCNJ. Enjoy looking through our website, you will find useful information including Ocean City, NJ Sale Properties in Ocean City New Jersey as well as Ocean City, NJ vacation rentals in OCNJ and much MORE! All of our Ocean City, New Jersey rental properties are located in America’s Favorite Family resort, Ocean City, NJ. Ocean City New Jersey has been the desired vacation spot.